Home→Fun Stuff→Attractions & Tours→Georgia→Peuwee! What’s That Awful Stench??? Peuwee! What’s That Awful Stench??? Sensitive nostrils beware! Can it be a skunk? Not quite that bad. Rotten eggs? Sort of. Rotting food? Maybe. A decaying rodent? Could be. Manure? Possibly. Old sweaty socks? Bodily odors? Eewww, let’s hope not. Maybe all of the above? However you describe it (or maybe it’s just downright indescribable), it stinks here in Brunswick – at least sometimes. Not only does the air smell but the water does a little too (but probably not for the same reason)! Sure hope our skin doesn’t absorb this wonderful aroma – we’ll never make any new friends! Don’t remember the lovely smell the last time we were here but then again we were only here for a couple of days and running around like crazy. Or maybe the smell impacted our memories? It should be noted that due to the stormy weather patterns during this stay the wind was pretty consistently out of the north east so that is probably a big factor. 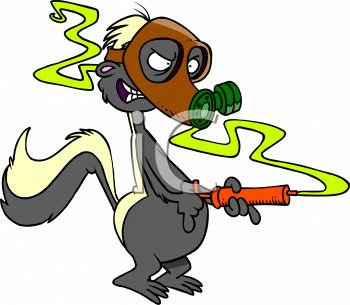 So what the heck smells so bad you must be asking? Well, for 75 years, Georgia-Pacific has operated a huge cellulose plant here in Brunswick. It doesn’t produce ordinary paper but is known for being the biggest producer of “fluff” (not the marshmallow type), “Golden Isles fluff” to be exact. 800,000 tons of the fluff stuff per year. In case you don’t know it (I didn’t), Golden Isles® fluff and filter pulps are used for absorbent applications including diapers and feminine hygiene products, baby wipes and other disposable wipes, as well as filter applications such as automotive and coffee filters and tea bags. Huh, who knew! To get an aerial perspective, click the link below to view in a larger map, then drag the image towards the bottom left, the Fluff plant will be very obvious in the upper right hand corner. 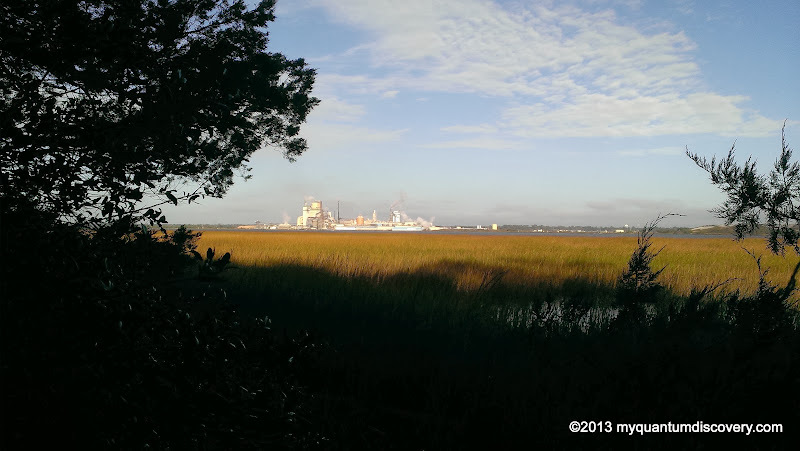 The air was revolting in the early 80s when we first moved to Jacksonville, and hasn’t gotten better. There’s a college in Brunswick with a faculty opening I’d love, but there is no way I’d endure that torture, much less ask family to do the same. This is what happens when corporations matter more than people. The stench was dependent on the wind direction but I’m sure somebody somewhere is always smelling it. And while we were only passing thru and could deal with it for a few days, we can certainly agree we wouldn’t want to live near there! We have run into paper mill smell in other locations as well including Maine, FL, the Carolinas and recently on the Mississippi near West Memphis, AK. We are on Jekyll Island now and we do smell that horrible stench. People here tell us it is a paper mill. Phew!!! !